Process capability analysis, used in process control, measures how well a process is performing compared to given specification limits. A good process is one that is stable and consistently produces product that is well within specification limits. A capability index is a measure that relates process performance, summarized by process centering and variability, to specification limits. 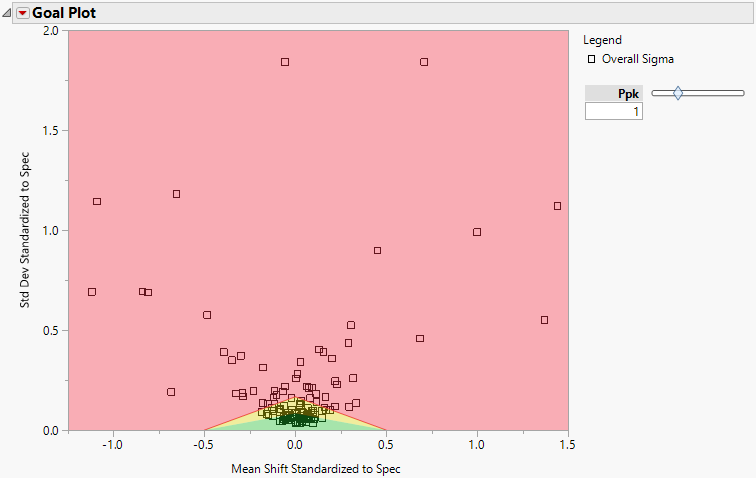 Graphical tools such as a goal plot and box plots give you quick visual ways of identifying which process or product characteristics are within specifications. Individual detail reports display a capability report for each variable in the analysis. The analysis enables you to identify variation relative to the specifications or requirements; this enables you to achieve increasingly higher conformance values. You can specify subgroups to compare the overall variation of the process to the within subgroup variation. You can compute capability indices for processes that produce measurements that follow various distributions. For data that follow none of the specified distributions, you can compute nonparametric capability indices.